May 15, 2018 at 12:15 PM | 266 Views | Last edit May 21, 2018 at 09:23 AM 2 rev. 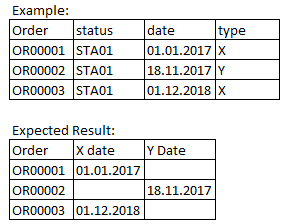 I have a requirement to create a column based on the condition as mentioned in the screenshot below. is it possible to achieve it via CDS view ?